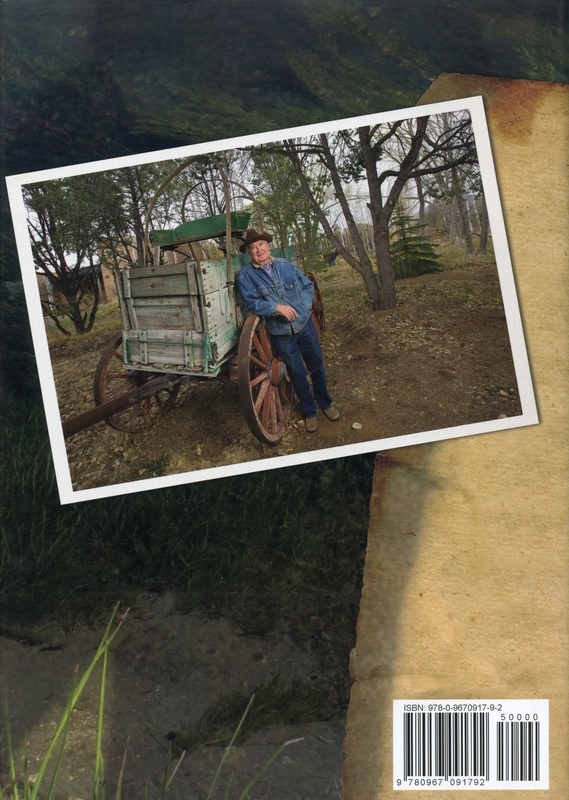 This entry was posted in More Info and tagged Fennboree 2019, Forrest Fenn, t-shirt contest, thrill of the chase, Treasure, Treasure Hunt by dal. Bookmark the permalink. It would be good to have the backside of the books as well. I added the back_cover of OUAW above…Let me know what you find.. Thanks dal . The only one I have ever seen. Looks may not be as deceiving as names can be. Why does OUAW have a revised cover???? I don’t see the bear but I do see two people on the left in front of the huge bolder. I’ve always wondered if the first edition of TTOTC has the same gold-frog-map and paragraph orientation as later editions. Have you ever thought to check? 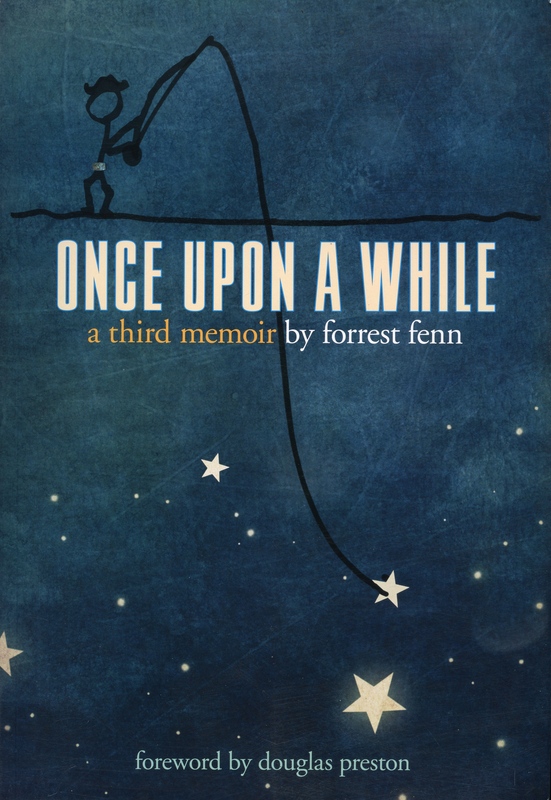 What is that around Forrest’s navel in the OUAW cover? It looks like he is almost umbilically attached to that star. That’s Forrest’s belt buckle. He always wears the same buckle and has for many years. More to it than meets the eye and if you listen hard enough you might hear something useful. Depends on your perspective I guess. What’s with the belt buckle I know I’ve seen it before. There for some reason. Almost looks like a picture of something. 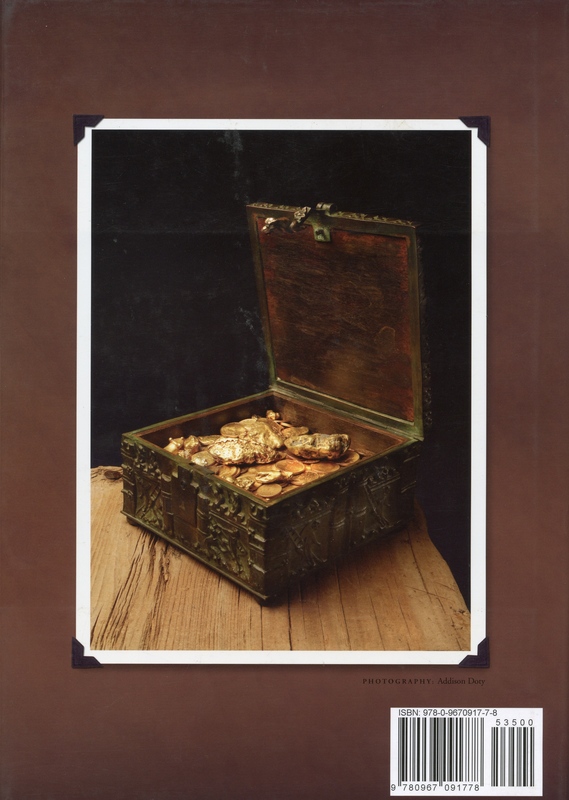 Two things particulary a chest since Forrest is a treasure chest himself full of information worth more than gold . A friend in college told me once there is two truths that every man should know ; The only thing that can’t be taken away from ya is your education and shy guys usually finish last . I did say earlier a friend and with time I have come to find that a friend is one who will not lie to you. And the second thing seen in buckle is the home of a man who deserved a better ending to his story than what he recurved . Who else sees obscure images of faces, especially on OUAW cover? I agree, an image of a face has something to do with all of this. I find the stars of interest on the cover of OUAW. Sitting here and thinking I can not help but wonder if Forrest unintentionally left hints to the chests location?. Ahhh only Forrest knows. 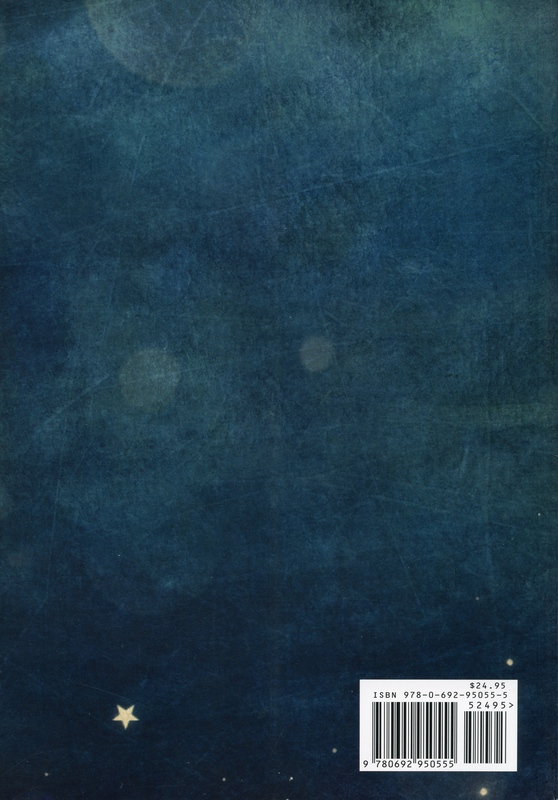 OUAW – Without the inside flaps of the front and back dust cover exposed, you only see a part of the star chart, therefore only part of the clue. This should make for some good reading as chasers delve into rabbit holes, because of course, there is a little chance that F actually designed the cover. Why do I say this? 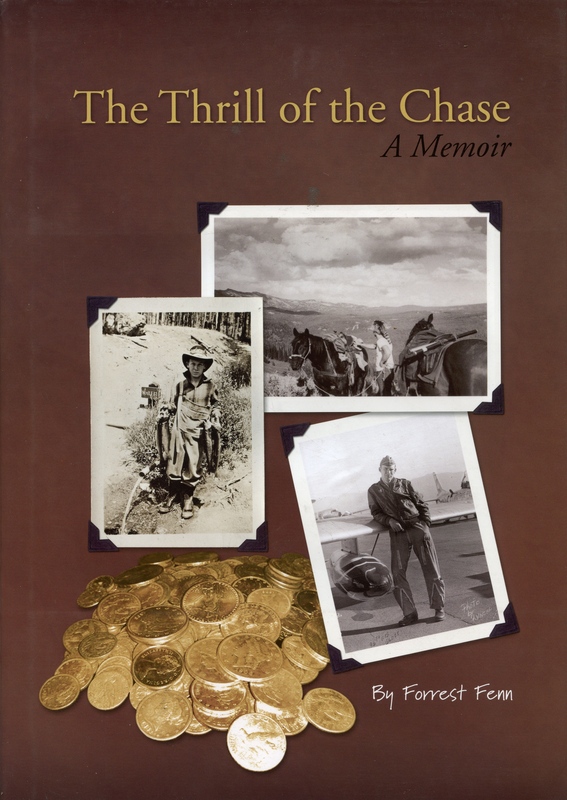 IF Fenn told anyone involved in the design to position these photos a certain way AND those positions reveal clues about the location of the treasure, THEN those individuals so informed would have an enormous advantage in find the TC. NOW as yourself a question, Is this likely? I believe he is a very clever fox. Might even let people think it was their idea. Remember he would have final approval on what is going to print. People will see whatever they want to see. What they see may reveal something about where they are at. Some will see things related to their line of thinking while others see nothing. I also thought insiders would have an advantage but I’m sure he would think of thought of that. I believe there was only one insider and he’s not saying much but I’m sure he must be amused. Maybe a non disclosure agreement. I’ve got to wonder about that incident in the shower where he was seeing images. Humans are very likely to see faces because it was believed as infants this is the first thing they noticed. I think it is kind of like recognizing a car someone else driving that looks like your car. The face reveals more than some might think in my opinion. That line of thought, IMO is entirely untrue, F has said he is the only one that knows where the tc is hidden. With that said, there are absolutely no insiders, also he has never given anyone the leg up on the Chase. To indicate that F is a clever fox and is only fooling us, is very much like you don’t believe him. I do however applaud him for not revealing the clues in the poem or the subtle hints, he does need to be like a fox to not to do so. I agree forest would never give anyone a “leg up” as you say. Your right I’m not up to date on everything you mentioned. Forest would be to only insider. Let me correct that last post. Forest would be the only insider. I hear you and agree. The only thing I would add, (on the thought that f told them where to put pics), is that the pics may need to be manipulated. Which is also a stretch. I only say it because of the many pictures that f has manipulated. There is a reason, if not just f having fun, but my thinking is, if f did something, then look into it. There is a lot that can be seen when you flip a pic onto itself. There is a reason f has done these things, and figuring it out would be anyone’s guess, especially getting the correct pattern, who’s to say. Maybe it’s the act itself and not so much the pics that comes into play. The thought of mirrors and all. I mean your right, anyone can zoom in on a pic and see, that doesn’t sound like Fenn. Too easy. If the pics do have a purpose, it’s in a subtle way. As far as the book pics, I can make TTOTC have a hint on another form of transportation. When asked he didn’t answer that question. So really, you can get anything out of the pics to fit a needy solve, so I agree with you, the pics alone do not tell the story. I have done a lot to the pics, I will say again, it just looks like f having fun. People can enter the rabbit hole all they want, it’s right next to the magical word hole. But if f spends time doing something, like he has with the pics, best to at least take a look. I would still think it’s more the process of doing that’s important and not so much the pic itself. Lastly, I know f has said he doesn’t know how to photo shop, easy to get around that statement, he just uses a different program. Im not sure that i can support this logic…. Just because Forrest is specific about some certain features, their relationship to his drawing and maybe even as persicv as the angles and relationships of the stars, does not mean that he divulged any of his loci or thinking. I think that the “enormous” advantage would only exist in the pre-release stage of the publishing. After that we all received the same information. And one would think that if that information was so conclusive and in your face then someone in the community would have been able to do a lot more than an artist or a publisher whom presumably isn’t that close to a solve. If that arrangement of stars has a specific correlation to the location of the chest, you would need to know where that general location is, if its one square mile or ten square miles as well as what specific places that those points refer to as far as the poem is concerned. On a separate thought, when i look at these covers there is one thing they all seem to have in common and to me they all seem to be a different perspective or angle of that commonality. However some observations are best left for the viewer to observe and process internally, so I’ll just leave it at that. Dal, on the cover of TTOTC, behind Forrest’s hat there’s a spot that appears different. What’s up with that? My cover doesn’t show that. Dal, on the front of TFTW, If I remember correctly, you’re the one who took this photo for Mr. Fenn. Can you tell us exactly where this was taken? Yes I can…and I have several times on this very blog. You can probably find where I explained it if you look around and/or use the search mechanism…Research is best!! Whatever the purpose of the faces, they have some importance to Forrest or they wouldn’t exist. If they r intended as info is anyone’s , ANYONE’S guess, but there r too many to dismiss as coincidence or created by someone other than Forrest. Need more examples?? Look closely at the underside of the open chest lid. More images of faces seemingly in/ on the wood. I’ll point towards another “what/ why is it”. Grab a magnifying glass and flashlight now look at pg. 126 TTOTC. There is an faint image to the right of the chest of the same image of man leaning on axe and stump from pg. 146. WHY??? Why, if it’s of no value to us? And that’s only two examples I’ll make aware. IF someone has a logical explanation, I’d love to hear it. 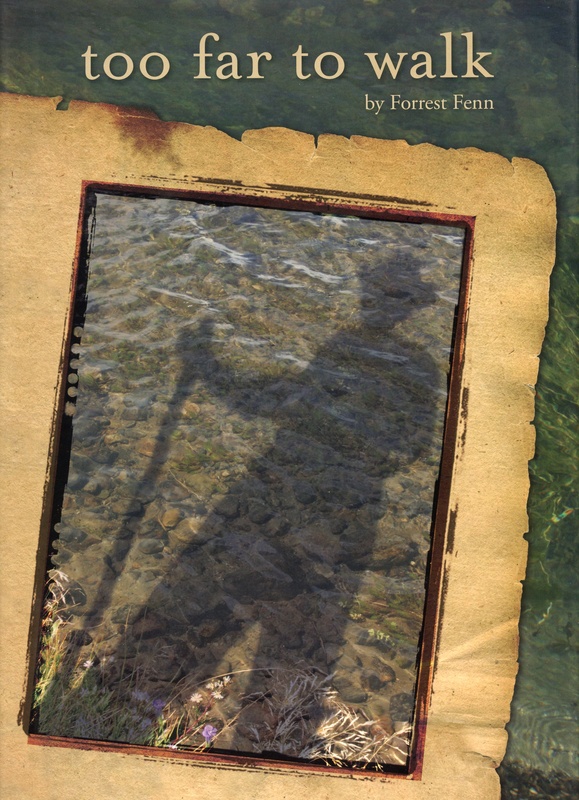 I found another confirmation of my solve in one of the book covers. I think my probability to find the chest got boosted tremendously. Thanks again. Makes me think the poet the philosopher and a hunter all have something in common. What they don’t is just because different opions or environments and when another card is of the same suit they will know we’re to go in peace for we may be so far away ,in one we are not alone . As for the rest the game will go till the deck is spent ! Thank you Forrest Fenn for teaching me that a star is only alone till it meets the sky. And reminding that come March 15 I know what don’t have fins and can be caught with a hook . If you think maybe it’s so and sos girlfriend then there might be odds that we might be from the same area but not on the same line of thinking . Chris Stapleton couldn’t sing a better ending to my chase I am a millionaire always have been and if you don’t believe me I hope you find A box of gold because a chest has a heart my friends . Seek and ye shall find now I need to get an address so I can knock. And I hope he has time so I can ask so many things that he will know ,and if he don’t there’s a adventure . was a hint to those who were very close to the chest. They were focused on a particular area. This was in the early days of the hunt. Idk if they still searching today. I would have to do a timeline and backtrack it to find who was where at or around at that time. Is there a High res version of the map and poem (the one with the border and rose compass) floating around?